Upselling and cross-selling are an intelligent and effective method to encourage shopping needs and drive more sales. Especially, it offers 200 views per month for free. The app has 3 kinds of the offer including custom upsell offer, the last step upsells offer and cross-sell offers. It will show the popup to give the suggestions to customers when click “Add to cart” or “Checkout” button. You can adjust the message to attract customers. You are free to choose the targeted products on the campaign: all products, specific products or specific collections. In addition, there are various options for you to optimize customer’s experience: offering the discount, not showing products that the inventory runs out of, not showing products that buyers added to the cart, or only making offers visible to customers who logged in. To attract customers and stimulate their shopping needs, you can create discount campaigns because most people want to purchase with the special price. As the result, they will make a decision to purchase faster and even buy more. With daily discount on Shopify, merchants can save money with full features of the perfect combination of 3 separate features. Discount Campaigns allow business owners to create many different discount campaigns at the present time and the future. It can apply to all products or individual products to stimulate customer’s shopping needs. Countdown Timer can inform clients about the exact remaining time of the discount campaigns to create an urgency about time. Stock Countdown lets customers know the remaining quantity of each item in stock. Therefore, you can promote the customer’s shopping process and prompt them to buy immediately at first sight with the scarcity of products. The app also has 10 unique themes such as Merry Christmas, Black Friday, Halloween, etc. Take a look at this video to see how it works. 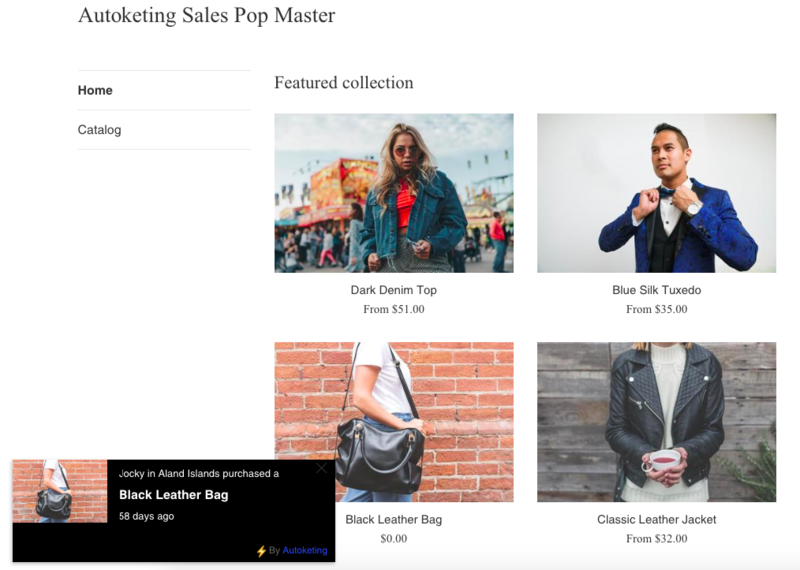 Discount Master seems to be a “must-go-to” Shopify flash sale app because it is a simple installation, easy to use and available on both mobile and desktop. Price: FREE, or PRO : $14.99/month. Let your customers shop your Instagram feed. Instagram is considered to be one of the best potential social channels to sell online. 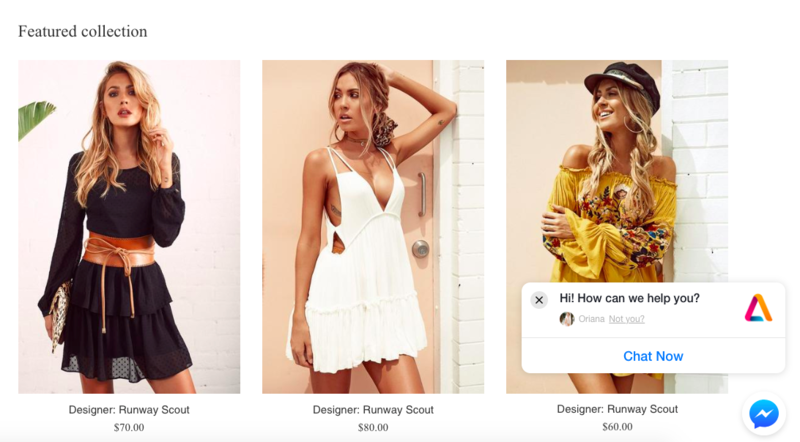 With Instagram shop by Snapppt, it is easier for merchants to increase sales by making their Instagram feed instantly shoppable. 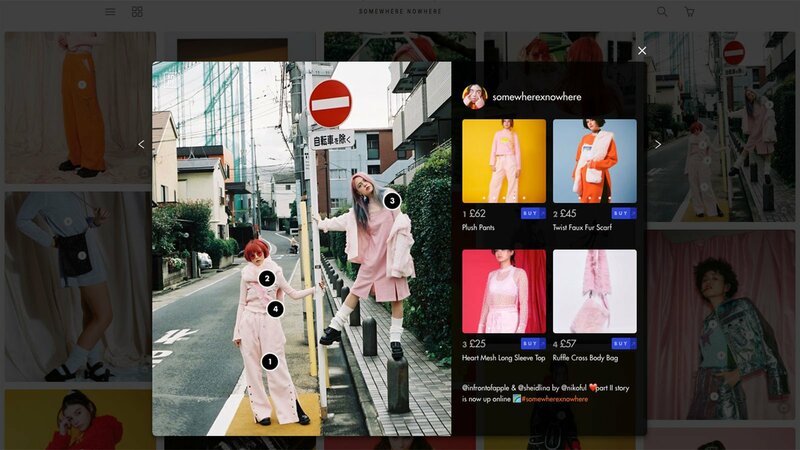 It is working by embedding shoppable Instagram galleries & user-generated content into your store, product pages, blog and more. The app is easy to install and use with various catalogs including fashion, design, art, extreme sports, kids, jewelry, etc. More than two-thirds of consumers use social shopping galleries to discover new brands and for online shopping inspiration. Snapppt can make your Instagram feed become your next visual customer acquisition funnel, sales pipeline. Therefore, your followers and prospects feel easy to come from other channels to buy the product they see in your Instagram posts. Take the best advantages of the Instagram platform to boost your sales and attract more visitors. There is a fact that good customer service plays a crucial role in the success of a business. If you give them the conscientious support, they will be impressed and choose your brand. Shopify live chat uses the Facebook Messenger platform that allows you to connect to all your customers over the world. With this trending app 2019 on Shopify, you can build a professional customer care style by supporting your clients at any time and anywhere. With the aim of improving communication efficiency between customers and brands, Shopify messenger app helps customers to exchange information directly with brands with no interruption and switch messaging platform. One of the outstanding features is that the exchange between consumers and brands will always be seamless because the context and history of the conversation won’t be lost. Merchants can answer and advise customers even when they leave your store. As the result, you can maintain a long conversation with your customers and allow them to learn more about your products and services. Stop losing sales with Back in Stock Notification alerts. Back in Stock is used for automatically emailing when you restock if customers signup for in-stock notifications. 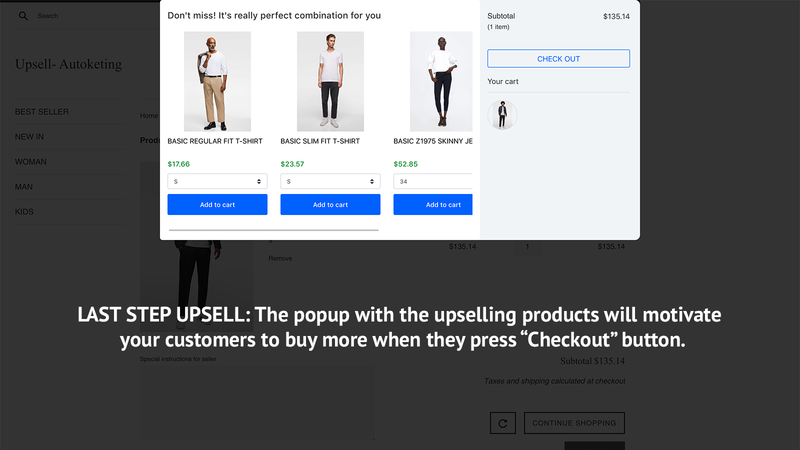 As you sold out of your best products, you will not lose your customers because this Shopify best app makes it easy for them to sign up for a back-in-stock email alert. When you restock products, you can bring the waiting customers back to your store and complete the purchase because they are emailed instantly by this best app on Shopify. You will have more chances to convert sales and boost your revenue. 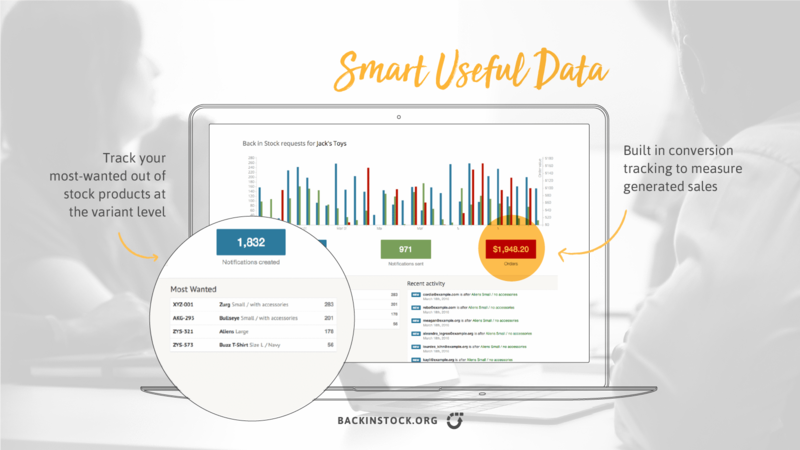 It is easy to install and it also helps you understand the most popular items which you can manage stock levels accordingly. Customize this eCommerce sales app, you can get even more sales from your store with a successful email marketing campaign. Furthermore, it is also possible to improve store promotion with these promotional email examples. Be ingenious to recover Shopify abandoned cart to boost your revenue. Free: STARTUP: $19/month, SMALL BUSINESS: $39/month, MEDIUM STORE: $59/month, and LARGE STORE: $79/month. Marketing is an important action on online selling. KIT is considered to be your FREE virtual employee. It automatically recommends the marketing activities which work best to drive sales. You can create a discount code and promote it with a few quick messages to Kit over Ping, SMS or Facebook Messenger. Besides, you can start a retargeting campaign to bring visitors back to your store and send thank you emails to buyers, and much more. Get help with marketing: find the right shoppers and drive more sales with your own marketing employee. 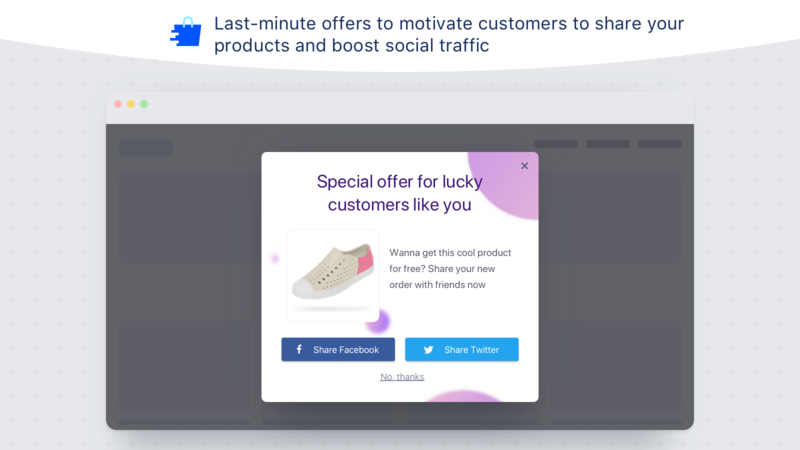 Turn Facebook visits into sales: create Facebook ads including dynamic retargeting campaigns, that show ads to those most likely to buy. Find your Instagram audience: Approach millions of Instagram users who are looking to discover new products. For your store to stand higher in the search engine, Plug in SEO is an effective tool. This app will help you fix the issues with search engine performance that will be worthwhile to fix. An outstanding feature is that it can check your store automatically after you install. Then, it determines the verdict and displays details. 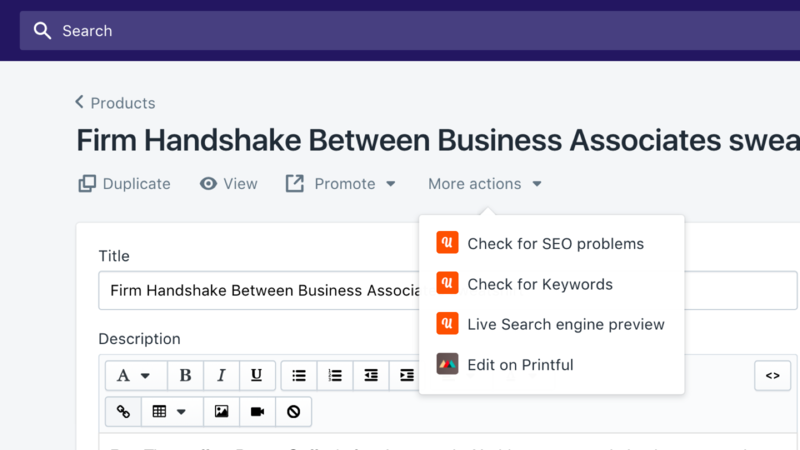 The most trending app can check for issues with page titles and descriptions, structure, speed, and more. Besides, it also includes code snippets you can use to fix any issues yourself. This app can work well with your existing apps. Automatically convert all currencies in the world. It has all the features of a paid app but it’s totally free. Shopify is the worldwide sales platform, so, the customers come from the different countries with the different currencies. Currency converter for Shopify can convert 164 currencies around the world with a few simple clicks. Besides, the exchange rate is updated continuously. A noticeable feature is that the app can automatically find your customer’s location and show the corresponding currency. It means that when visitors come to your site, the app can determine their countries via IP and then convert the currency. You can set the displayed icon and even its location. Thanks to the help of currency converter box free, customers will feel comfortable and convenient when buying online. As the result, merchants can drive sales, get much money and gain great value. When you are selling worldwide, you may consider the shipping service. Easyship ‑ All in one shipping can help you solve that problem. It is a shipping platform that reduces shipping costs. You have direct access to hundreds of courier solutions. Therefore, you can save time and money and increase conversion rates. It is the most trending app and it helps you access 200+ shipping solutions. You can benefit from rates up to 70% off because of getting special discounts offered by USPS. You can give your customers the support they expect based on the 24/7 support. There is no hidden fee or surprises and customers can see the exact amount of import tax, VAT, GST, and other fees upfront. Buyers can choose between the cheapest, fastest, or best value for money solutions. 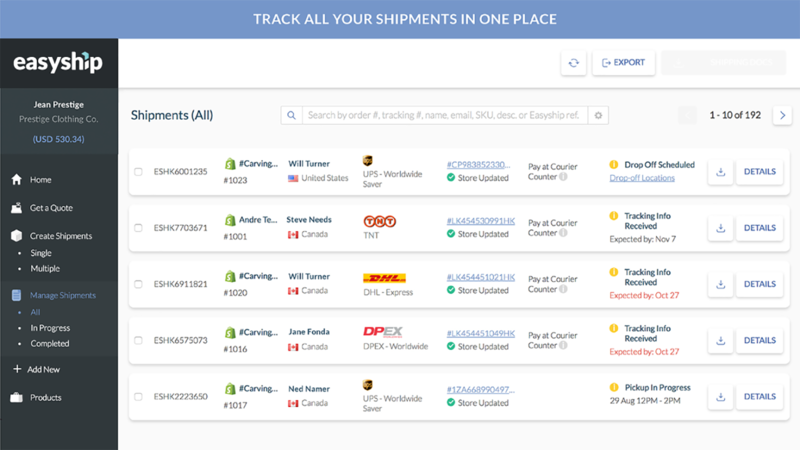 As the result, merchants can reduce returns, customer complaints, and emails by showing clear delivery times. It also makes it easier for shoppers to decide to make a purchase. You can control every order and so do your customers. Targeted Search, Display & Remarketing Google Adwords for Free. Besides SEO, Google Adwords is one of the most effective marketing strategies. Google Adwords is built as an Adwords automated solution, Clever Adwords will handle all the hassles of running and managing Google Adwords campaigns for online shop owners. This most popular app for Shopify gives growing e-commerce companies a fighting chance to advertise on a smaller budget while competing against larger companies. In addition, you will receive scheduled reports about your campaigns’ performance. The app helps you approach more clients when they are searching on Google or while they are simply browsing the Internet. They can help reconnect with customers who have shown interest in your products but didn’t make a purchase the last time they visited your store. Therefore, there are more and more consumers who can see your products and you have more opportunities to boost sales. Price: BASIC: Free, PREMIUM: $49/month, CUSTOM: $99/month. Automatically show recent transaction, boost customer shopping. You want to attract customers and gain their trust? Shopify desktop notification is one of the best apps which can help you. It works by automatically displaying recent sales notifications to boost customer’s order decision on your online store. It will show the orders of others within 60 days, so customers will feel trust and have more confidence to buy one product. That helps to skyrocket your revenue. It creates a motive aiming at encouraging customers to buy products. Sales pop master free is easy to install and set up, just in one minute. There isn’t any hurdle to install, set up features and use this app. Shop owners use this app to boost sale as a method to attract visitors and persuade them to buy more items. There is a fact that consumers’ purchasing decisions are influenced by their friends’ social media posts. It means that when you see some stuff quite interesting shared on your friend’s Facebook, you will click on to check it out, and so do customers. Therefore, if you have a plan to make your clients share your products on social channels, it is more likely for others to approach and buy your products. After customers add items to cart on product pages or review orders on cart page, the app will show an offer popup to ask them to share their cart on Facebook or Twitter to receive a free gift / free shipping/discount code. With the Checkout Boost app, you will encourage your clients to share what they added to their cart on Facebook and Twitter in exchange for a gift (free shipping, discount code, etc.). Customers will be very happy to do that because they can get the promotion. Besides, you also can drive more traffics to your online store and finally boost your revenue. Dropshipping seems a perfect starting point for store owners who start out with little capital at first. Oberlo is one of the best Shopify apps for AliExpress dropshippers. 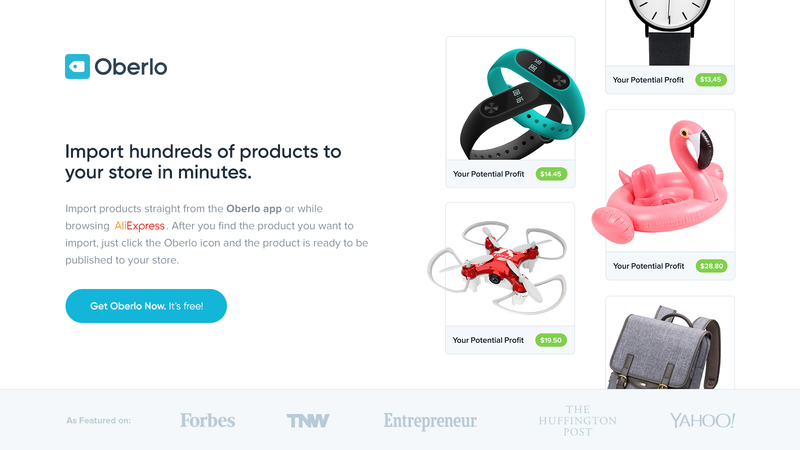 Just click “Order Product” and confirm the order to ship a product to your customer: Whenever someone buys your products, Oberlo will also handle all the order fulfillment automatically for you in one click. Allow users to custom products as you wish including change titles, descriptions, images, anything! Multiple User Accounts: Allow other people to help run your online store. Therefore, you will feel easy to sell online with little capital and avoid the risk of inventory. Price: FREE STARTER PLAN: Free, BASIC PLAN: $29.90/month, PRO PLAN: $79.90/month. Display a free shipping bar to boost customer’s shopping goals. Shipping Bar app encourages customers to make purchases by offering free shipping campaigns. It allows showing shipping bars on the online store. You can set a goal like “purchasing 100 dollars to get free shipping”. Then, the customers will add more items to achieve the cart goal and gain free shipping. Finally, you can generate more sales and boost your revenue. Besides, because they gain free shipping, they are confident to spend more money on your products. You can even add a link to the bar to direct customers to any site. Shipping Bar for Shopify can run smoothly on both desktop and mobile. Merchants can edit theme (basic and holiday themes), font, size, and color of bars and messages. 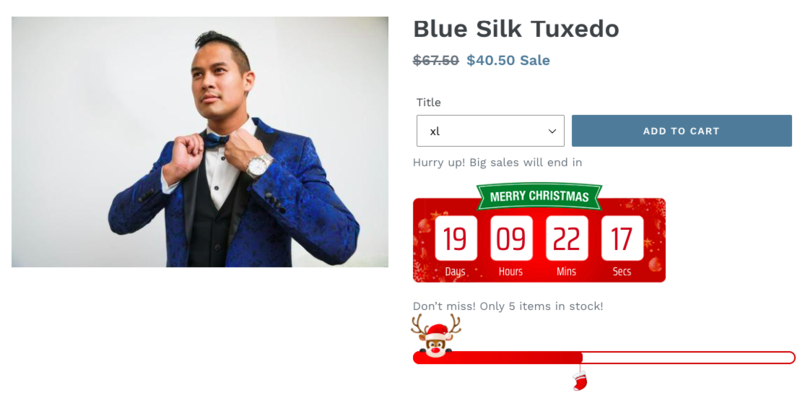 Merchants can also create a countdown timer for the free shipping campaigns to promote customers to buy faster. You can also put the bar on everywhere you want. 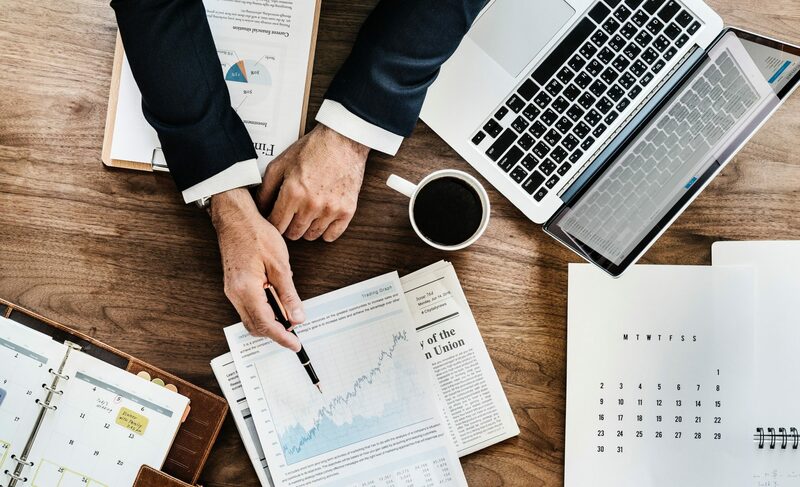 Print-on-demand has been all the rage for recent years thanks to its major benefits: no need to worry about stock inventory, small initial investment, high-profit-margin, no monthly fees, etc. Printful will take care of your inventory, equipment, and shipping. 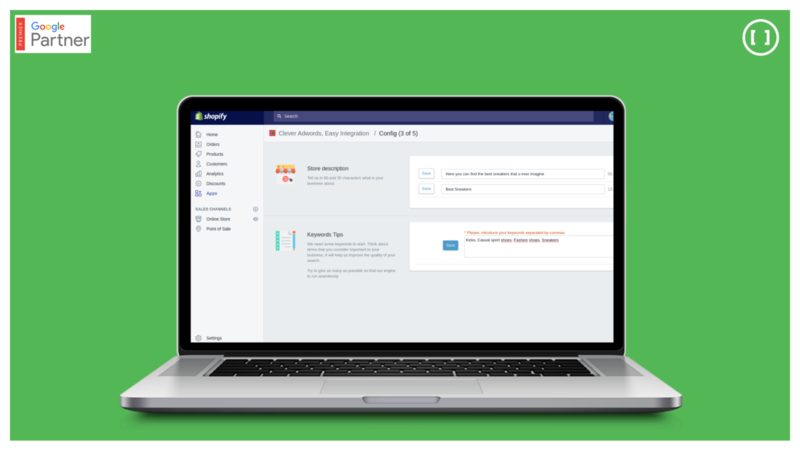 This free Shopify apps 2019 helps you print and ship in an average of 3 business days at our locations in California, North Carolina, Mexico, and Latvia (that’s in Europe). With more than 200 product variations, from leggings, t-shirts, and swimwear to backpacks, posters, and embroidery, you can approach many types of customers. How does it work? 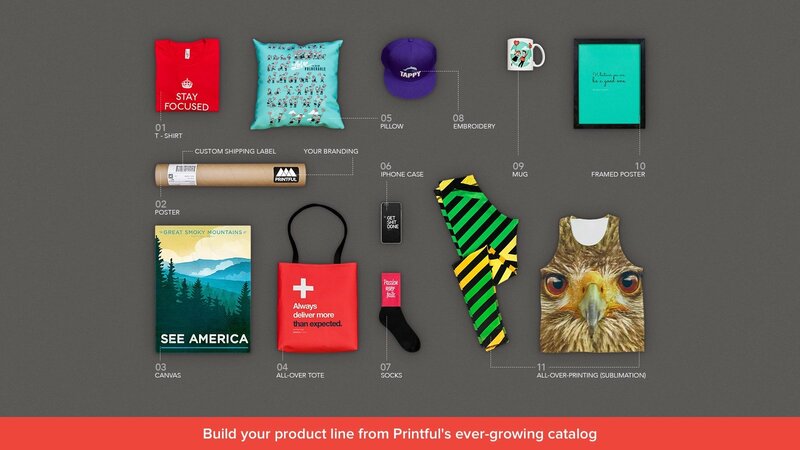 When a client makes an order on Shopify with a Printful product, it’s directly sent to the developer, where they print and ship it to the customer under your brand. The good reviews of previous customers are the motivation for clients to decide to buy. It means if you see that the previous consumers have the good experience with one shop, you will be more likely to make a purchase. 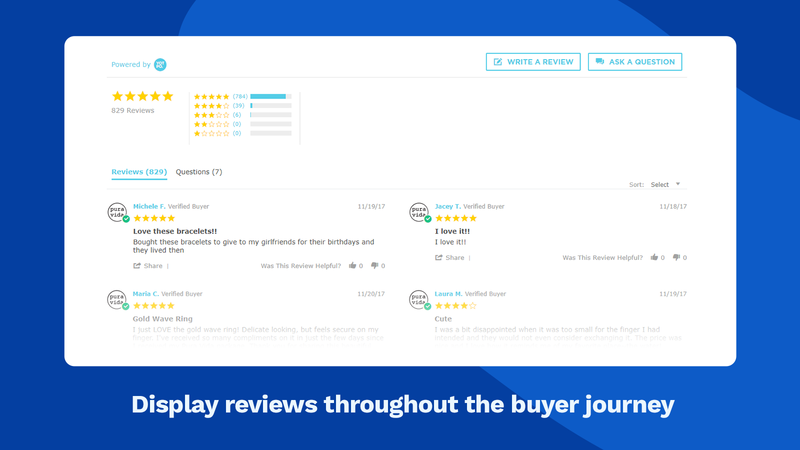 Yotpo Reviews, Photos, and Q&A is considered as a marketing app that helps brands of all sizes generate and leverage reviews, photos, and Q&A. As a result, businesses can build trust, drive traffic, and increase conversion. It will collect photos, reviews, and Q&A from your shoppers and automatically share the best one on your social channels. 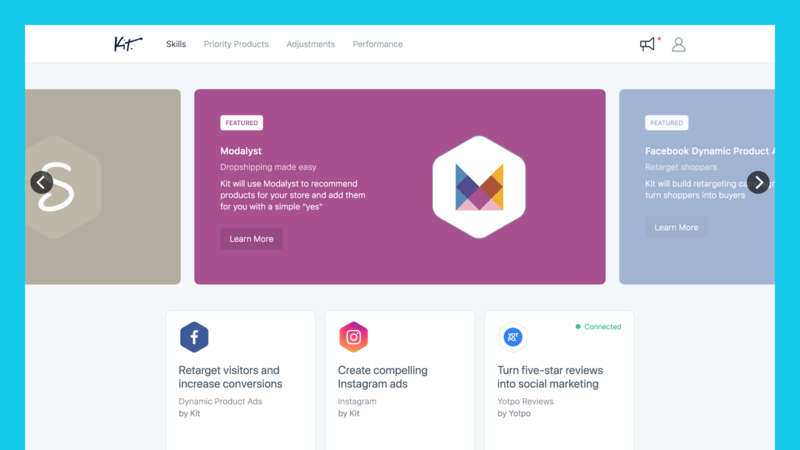 This app also partners with Facebook, Google, and Instagram, and integrate with email, and helpdesk apps to display ratings in organic search results and Google Ads. As the result, it can generate much more conversion and drive more sales. Besides, by being the partners of many social platforms, it helps drive traffic from Facebook and Twitter. I hope that these 15 Shopify apps 2019 can help you choose the best ones which work best for your store. If you find this article helpful, don’t hesitate to share it with other merchants. Follow us on Twitter, Facebook or Instagram for more information. Sorry! But I want to make sure that there is no any hidden cost for currency converter box because I often have to pay $10 for the hidden cost. There is no hidden cost. In many apps, you just need to pay to upgrade your plan for more features.